Bu durum çalışmasının amacı, ilköğretim matematik öğretmen adaylarının problem çözmeye dair pedagojik alan bilgilerini görüşme ve sınıf içi uygulama gözlemleriyle belirlemek ve iki ayrı veri kaynağından edilen bilgileri karşılaştırarak varsa benzerlik ve tutarsızlıkları ortaya koymaktır. Araştırma Ankara ilinde bir devlet üniversitesinin ilköğretim matematik öğretmenliği programında son sınıfta okumakta olan 13 öğretmen adayıyla gerçekleştirilmiştir. Veri toplama araçları olarak; yarı yapılandırılmış görüşmeler ve sınıf içi gözlemler kullanılmıştır. Gerek problem çözmenin öğrenme üzerine etkisi ve matematik eğitimindeki yeri, gerekse problem çözmenin öğretim sürecinde ne oranda yer alması gerektiğine ilişkin sorulara verdikleri yanıtlar göz önüne alındığında geleneksel yaklaşımı eleştiren, problem çözme ile öğretim yaklaşımına yakın bir duruş sergileyen öğretmen adaylarının gerçekleştirdikleri uygulamanın ardından problem çözmeyi ifade ettiklerinin tersine, sonuç odaklı ele aldıkları, ulaşılan araştırma sonuçlarından birisidir. This is a case study aimed at determining pre-service primary school mathematics teachers’ pedagogical content knowledge of problem solving through interviews and in-class practice observations. This study also attempts to compare and contrast the data obtained from two different data sources to reveal any similarity and inconsistency, if there is any. The study group includes 13 senior students studying at the department of primary school mathematics education of a state university located in Ankara province. Semi-structured interview and inclass observation were employed for data collection. Taking into account their responses about the influence of problem solving on learning, the role it plays in mathematics education, and to what extent problem solving should be focused on during the teaching process, it is clear that the pre-service teachers criticize traditional approach and stay close to instruction via problem solving. However, this study also indicated that contrary to what they asserted, the pre-service teachers employed problem solving with a focus on results. Bodner, G. M., & Domin, D. S. (2000). Mental models: the role of representations in prob-lem solving in chemistry. University Chemistry Education, 4(1), 24-30. Carpenter, T. P., Fennema, E., Peterson, P. L., & Carey, D. A. (1988). Teachers' Pedagogical Content Knowledge of Students' Problem Solving in Elementary Arithmetic. Journal for Research in Mathematics Education, 19(5), 385 - 401. English, L., Lesh, R., & Fennewald, T. (2008). Future directions and perspectives for problem solving research and curriculum development. Paper presented at the 11th International Congress on Mathematical Education, Monterrey, Mexico. Garofalo, J., & Lester, F. K. (1985). Metacognition, cognitive monitoring, and mathematical performance. Journal for Research in Mathematics Education, 16(163-176). Goffin, S. G., & Tull, C. Q. (1985). Problem solving: Encouraging active learning. Young Children, 40, 28-32. Hayes, J. (1980). The complete problem solver. Philadelphia: The Franklin Institute. Hiebert, J., Carpenter , T. P., Fennema, E., Fuson, K., Human, P., Murray, H., . . . Wearne, D. (1997). Making mathematics problematic: A rejoinder to Prawat and Smith. Educational Researcher, 26(2), 24-26. Kilpatrick, J., Swafford, J., & Findell, B. (Eds.). (2001). Adding it up: Helping children learn mathematics: Mathematics Learning Study Committee: National Research Council. .
Krulik, S., & Rudnick, J. A. (1989). Problem Solving: a handbook for senior high school teachers: Allyn and Bacon. Lesh, R., & Zawojewski, J. S. (2007). Problem solving and modeling. In F. Lester (Ed. ), Second handbook of research on mathematics teaching and learning (pp. 763–804). Greenwich, CT: Information Age Publishing. Lester, F. K. (2013). Thoughts about research on mathematical problem-solving instruction. In L. Santos-Trigo & L. Moreno-Armella (Eds. ), International Perspectives on Problem Solving Research in Mathematics Education, a special issue. The Mathematics Enthusiast (Vol. 10, pp. 245-278). Lester, F. K., & Kehle, P. (2003). From problem solving to modeling: The evolution of thinking about research on complex mathematical activity. In R. Lesh & H. Doerr (Eds. ), Beyond constructivism: Models and modeling perspectives on mathematics problem solving, learning, and teaching (pp. 501-517). Mahwah, NJ: Lawrence Erlbaum Associates. M.E.B. (2013). Orta Öğretim Matematik (9.10.11 Ve 12. Sınıflar) Dersi Öğretim Programı. Ankara: Milli Eğitim Basımevi. Marshall, S. P. (1995). Schemas in Problem Solving. New York, NY: Cambridge University Press. MEB. (2014). Ortaokul Matematik dersi (5, 6, 7, 8. Sınıflar) öğretim programı. Ankara: Talim ve Terbiye Kurulu Başkanlığı. NCTM. (2000). Principles and Standards for School Mathematics. (0873534808). Reston, VA: NCTM. OCG. (2005). The Ontario Curriculum Grades 1-8 Ministry of Education 2005 Mathematics. Retrieved from http://www.edu.gov.on.ca/eng/curriculum/elementary/math18curr.pdf. Oluk, Z., & Olkun, S. (2002). Children’s Strategies for Solving Fraction Problems: A Comparison of Primary and Intermediate Grades. 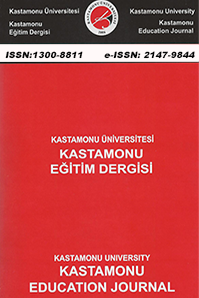 Abant İzzet Baysal Üniversitesi Sosyal Bilimler Enstitüsü Dergisi, 2(5), 207-217. OPS. (2010). The Ontorio Principals’s Council, Principal as mathematics leader: Leading Students Achievement. Ontorio: Corwin Press. Polya, G. (1957). How to solve it. Princeton, New Jersey: 2nd Edition copyright 1957 by Princeton University Press. Putnam, R. T., & Borko, H. (2000). What do new views of knowledge and thinking have to say about research on teacher learning? . Educational Researcher, 29(4), 4-15. Saeli, M. J., Perrent, W., & Jochens Zwaneveld, B. (2011). Teaching programming in secondary school: A pedagogical content knowledge perspective. Informatics in Education, 10(1), 73-88. Schoenfeld, A. H. (1985). Mathematical problem solving. Orlando, FL: Academic Press. Silver, E. A. (1985). Research on teaching mathematical problem solving: some under represented themes and needed directions. In E. A. Silver (Ed. ), Teaching and learning mathematics problem solving: multiple research perspectives. Hillsdale, NJ: Lawrance Erlbaum Associates. Stacey, K. (2007). What is mathematical thinking and why is it important? . Paper presented at the APEC Symposium. Innovative teaching mathematics through lesson study II. 3-4 December 2006. Van de Walle, J. A. (2007). Elementary and middle school mathematics: teaching develop-mentally. USA: Pearson Education. Verschaffel, L., De Corte, E., Lasure, S., Vaerenbergh, G., Bogaerts, H., & Ratinckx, E. (1999). Learning to solve mathematical application problems: A design experiment with fifth graders. Mathematical Thinking and Learning, 1(3), 195-229. ISNAD TÜRKER BİBER, Belma , AYLAR, Ebru , AY, Zeynep Sonay , AKKUŞ İSPİR, Oylum . "İlköğretim Matematik Öğretmen Adaylarının Problem Çözmeye Dair Pedagojik Alan Bilgilerinin Sınıf İçi Gözlem ve Görüşme Yoluyla Belirlenmesi". Kastamonu Eğitim Dergisi 25 / 4 (July 2017): 1483-1498.